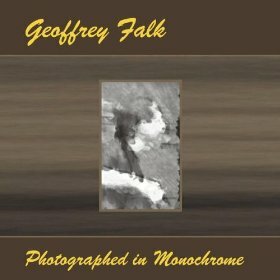 Move over Lilith Fair, Geoffrey Falk is claiming all melodic acoustic guitar pieces and love-lorn lyricism with his 2009 release Photographed in Monochrome. The first half of this album would do well in a chilled-out Irish-style lounge or pub, especially with the incessantly catchy tune “Luck o’ the Irish.” The picking patterns of this song are upbeat and yet still calming—a perfect homage to feeling lucky when finding love. Falk runs the risk of having all of his songs sound similar, but with help of instruments like the mandolin, djembe and congas in songs like “Red-Haired Girl” and “Hide and Seek” his craft is saved from monotony. This album is a suitable accoutrement to a day spent watching the ocean from a patio some-place.